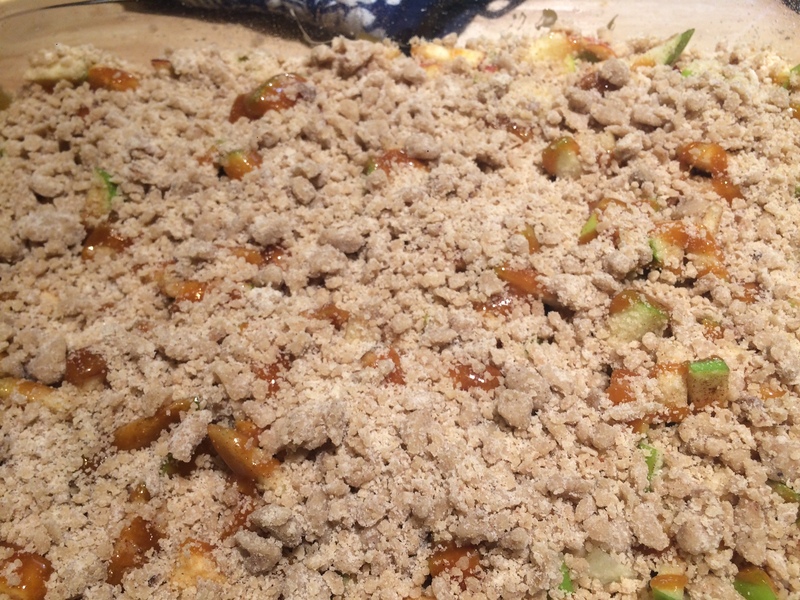 Making the crumble topping and crust. Love the one-bowl technique! Pressed crust into pan, ready for baking. 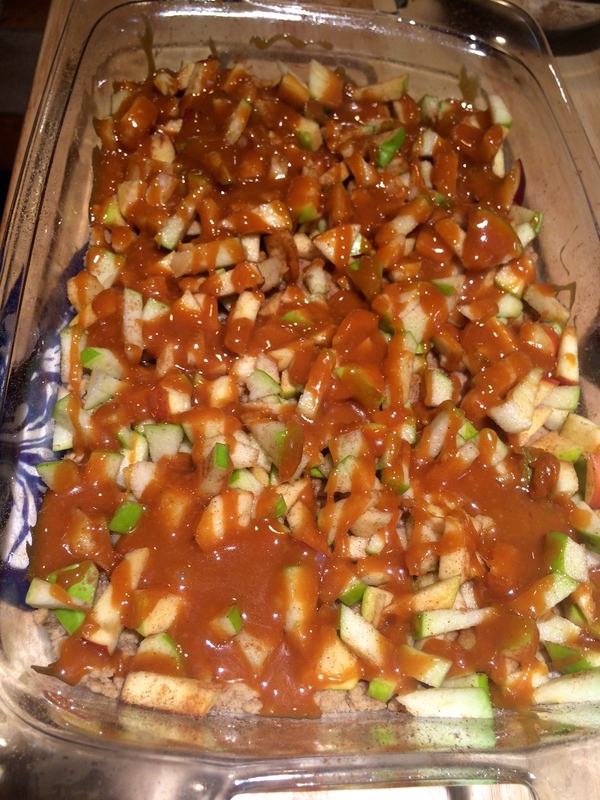 After baking the crust for 10-15 minutes, top with chopped apples and salted caramel. 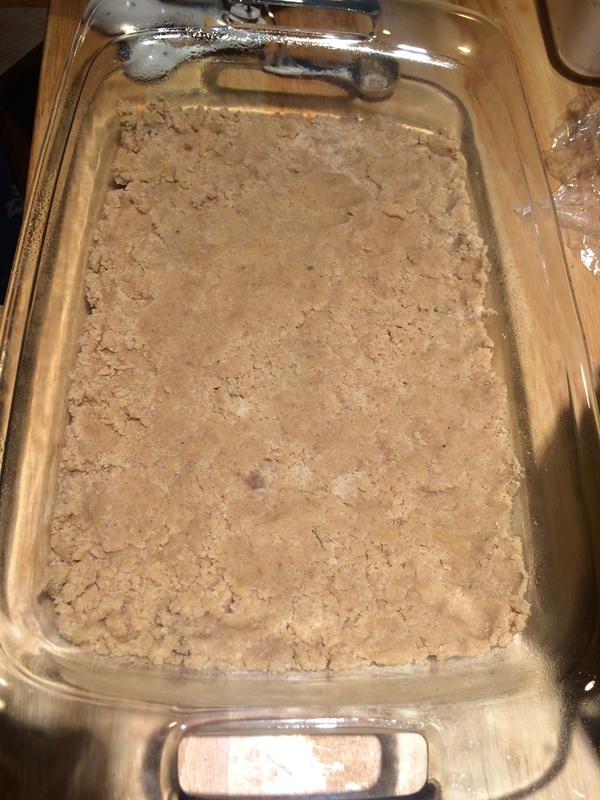 Top with remaining crust/crumble mixture and pop that pan back into the oven. I decided not to peel my apples because I love the pops of red and green from the apple skin. Actually, I decided not to peel my apples beacuse I was feeling lazy, but, you know, you do you. Cooled and ready to eat. 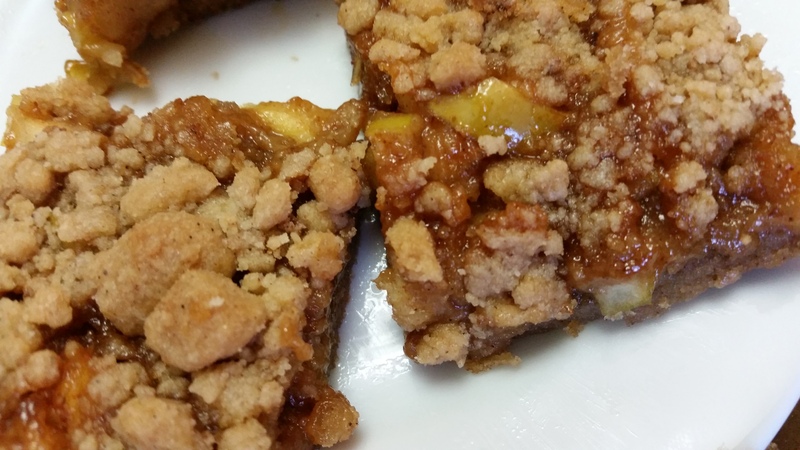 For an extra treat, pop these bars in the microwave for a few seconds before eating. Or, you know, just eat them warm right out of the pan. 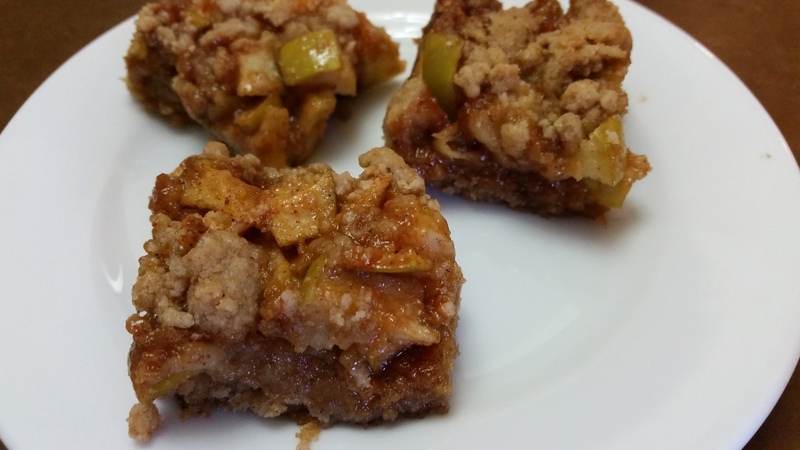 These caramel apple pie bars were a huge hit! The 1-bowl recipe is low mess and no-fuss. 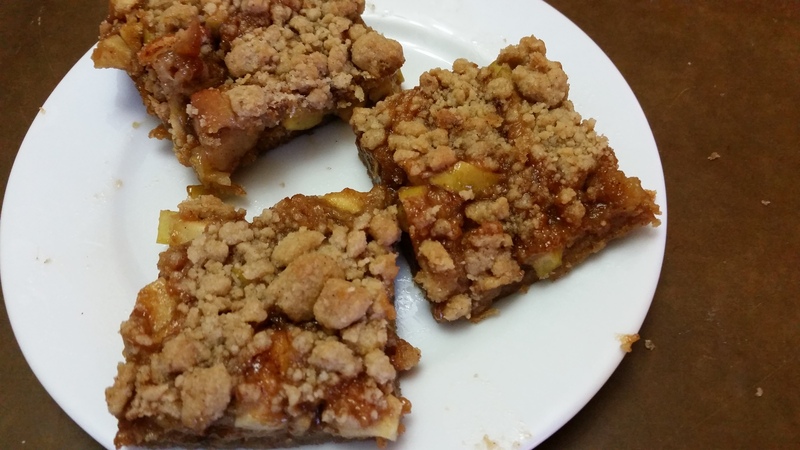 Ready for the full recipe? Scroll down! Cream together brown sugar and butter until creamy. Beat in egg. Beat in salt, baking soda, and spices. On low speed, mix in 2 1/2 cups flour until just combined. Press 2/3 of the crust mixture into the crust into pan. Bake for 10-15 minutes until the crust starts to brown lightly. 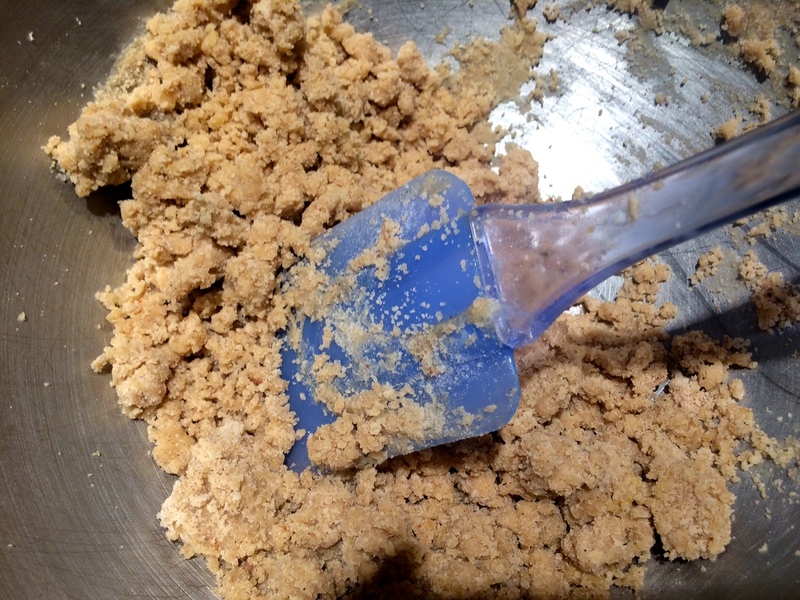 Add reserved 1/4 flour to the rest of the crust mixture and crumble it with your fingers. It’ll be dry–this is your topping. While the crust is baking, make the caramel (Sally’s Baking Addiction has a great step-by-step) (skip this step if you’re using pre-made caramel). In a medium saucepan, melt sugar on medium heat until it browns. Try not to stir sugar while it melts. Once it’s started to brown, pull from the heat quickly and add butter and cream immediately, stirring to combine. It’ll puff and fizz, so make sure you use a big enough saucepan. Stir in salt. 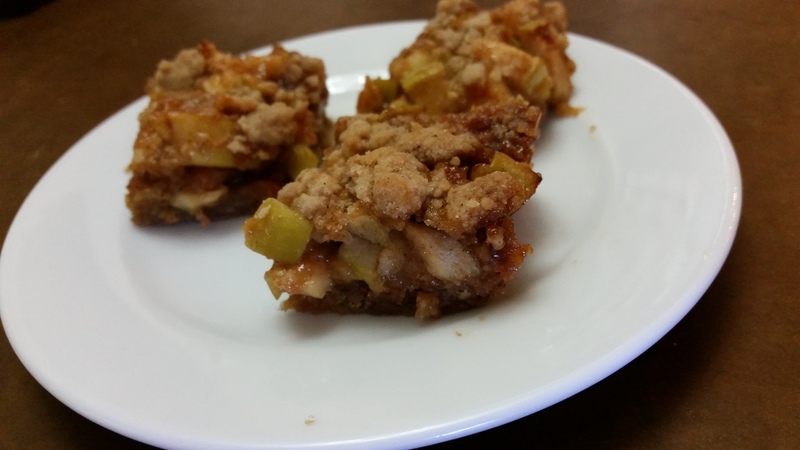 Scatted chopped apples, granulated sugar, salt, cinnamon, and nutmeg over the crust. 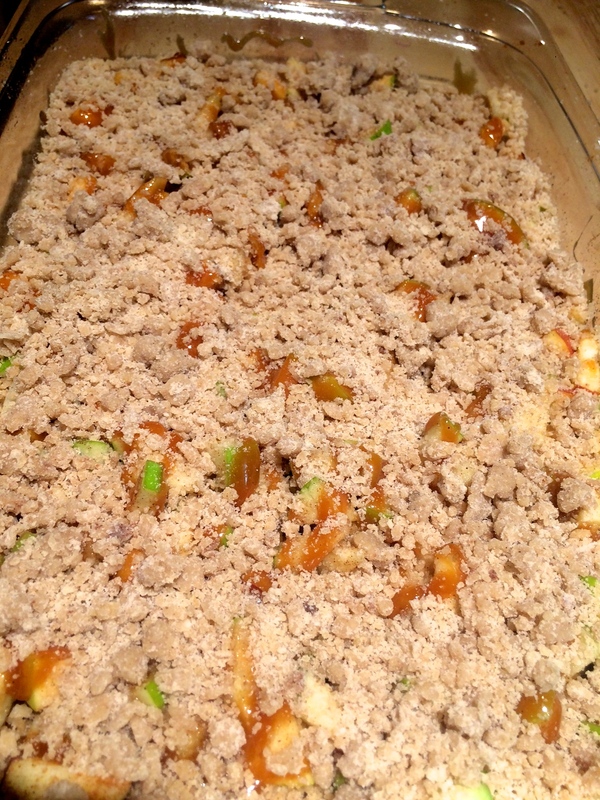 Pour caramel evenly over apple later and sprinkle your crumble topping over everything. 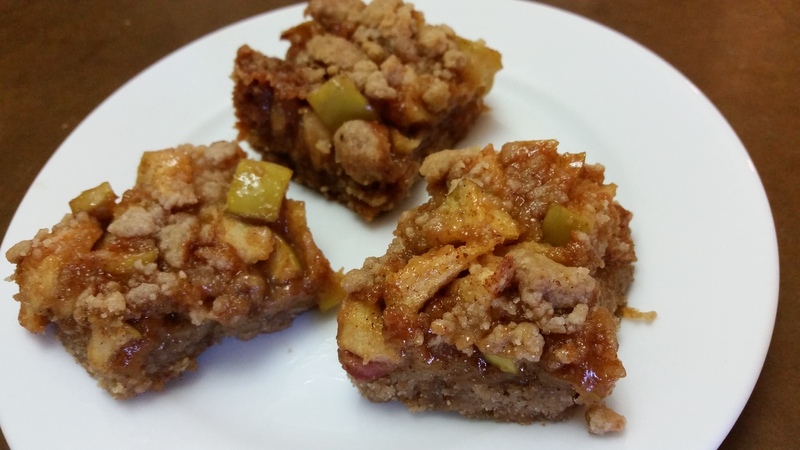 Bake for 30-35 minutes, or until caramel is bubbly. Cool. Slice. Eat. Yum.